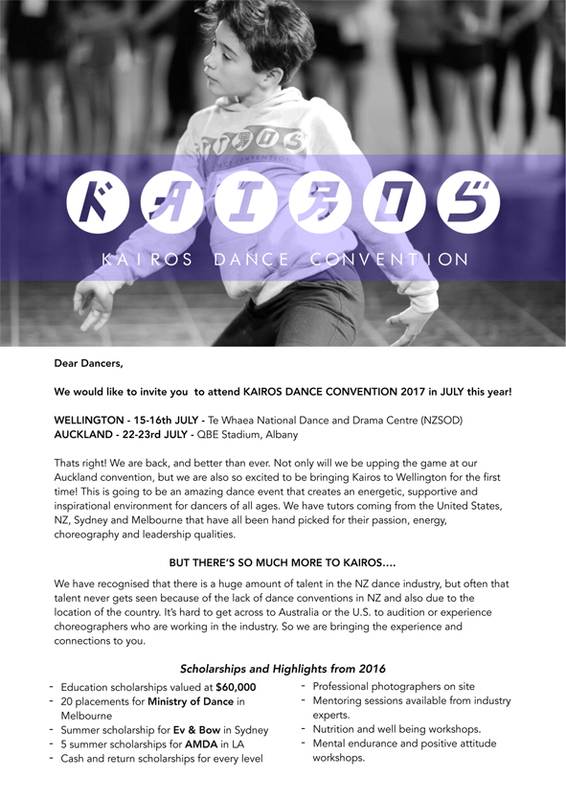 Shore Dance is going to the Kairos Dance Convention 2018! This is open to all Shore Dance students aged 7 years and over. It is a 2 day event held at the QBE Stadium in Albany on the 7th-8th July. Students participate in a range of dance classes including jazz, lyrical, hip hop, contemporary, musical theatre, audition technique, body conditioning and more! “This is going to be an amazing dance event that creates an energetic, supportive and inspirational environment for dancers of all ages”. To find out more information about this fantastic opportunity, please click on the links below, and watch the promotional video below to see what Kairos is all about! What size would you like for your free Kairos T-shirt? A mini/junior dancer should be able to follow instruction and conduct themselves well in a convention class environment. They should have experience in one or more genres of dance. The focus of the junior convention is to encourage confidence and excellent performance skills, creating a fun and inspirational environment. Click HERE for a full explanation on what to expect as a Junior dancer. An intermediate dancer should have a more than 2 years experience in one of more genres of dance. They should be confident with core vocabulary of dance movements. Dancers should be able to pick up and master new choreography over the convention and absorb and apply corrections. The focus of the intermediate convention is to extend dancers beyond their current ability and to encourageconfidence and a positive mind set as a developing dancer. Click HERE for a full explanation on what to expect as an intermediate dancer.